On June 8th 2011, the world’s biggest websites, communities and corporations will enable access to all of their main sites by IPv6 – the next major version of the IP protocol that powers all internet systems. The Internet Society’s World IPv6 Day event is being supported by many top names on the internet such as Google/Youtube, Facebook, Akamai, Limelight Networks and Cisco amongst many others. With the aim of enabling access to the top web destinations via IPv6, the event hopes to provide network operators, ISPs, software vendors and website operators a chance to test-drive and stress-test IPv6 deployments so that any bugs or issues that threaten IPv6’s scalability can be detected and worked-out. Recently, we detailed our own IPv6 deployment progress and summarized some advantages that the IPv6 protocol will provide to website owners, networks and end users. 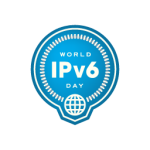 As an IPv6-enabled provider, we will be supporting World IPv6 Day and the growing support for IPv6 on the web in the future. Currently, we are able to provide the following services completely over IPv6, with more being IPv6-enabled in the near future. World IPv6 day, scheduled for 8 June 2011, is a global-scale test flight of IPv6 sponsored by the Internet Society, when major web companies and other industry players will come together to enable IPv6 on their main websites for 24 hours. The goal is to motivate organizations across the industry – Internet service providers, hardware makers, operating system vendors and web companies – to prepare their services for IPv6 to ensure a successful transition as IPv4 address space runs out. Most Internet users should not be affected. 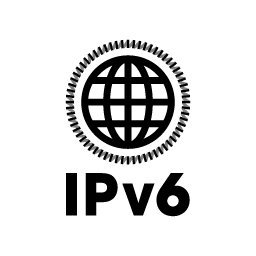 In rare cases, users may still experience connectivity issues when visiting participating websites. Users can use IPv6 Tests to check their IPv6 status and if you receive any errors, either disable IPv6 or request assistance from your ISP.